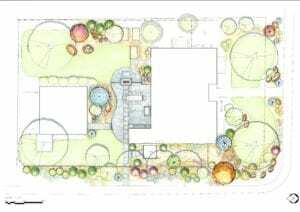 We utilize natural patterns, feedback loops to inspire a beautifully unique & comprehensive landscape design specifically for your land. 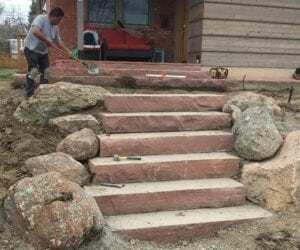 Our landscaping construction team takes pride in their work and this enthusiasm is transferred to our clients with each stunning new landscape constructed. 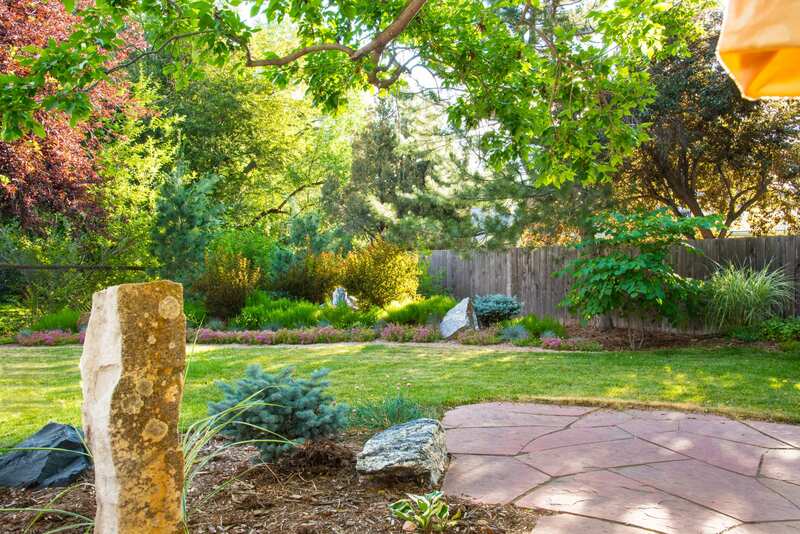 Our holistic gardening methods, organic lawn care practices are tailored to your new or existing landscape. • Inspect your irrigation system monthly by walking around your property checking for leaks, broken or clogged sprinkler heads, and plant problems. Lawn equipment, thirsty raccoons, or parts wearing-out can cause damage, so be on the lookout unusual wet spots or dried out plants/turf, and get items fixed quickly. • Learn the basics about your controller: know how to turn your sprinkler system off, and do so after appreciable rain events. Remember to turn it back on, or have a professional install a rain sensor that does it automatically. 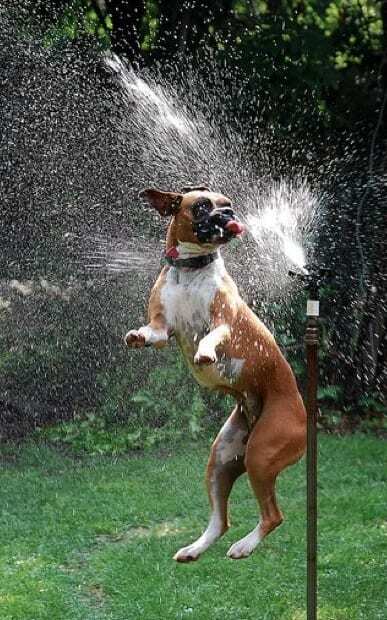 Set timer to water early mornings when winds are calm & temps are cool (between 4am and 8am). 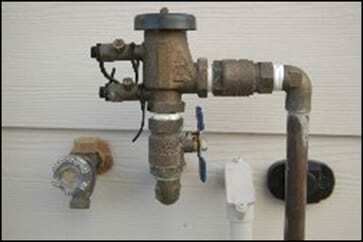 • Know where your backflow preventer (outside) or water shut-off valve for the irrigation line is (usually in the basement or utility closet). 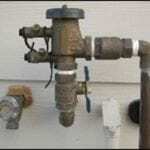 If a zone keeps running after it’s set to turn off or a leak is discovered, turn off your controller and the backflow preventer -or- the water shut-off valve. Then call Ecoscape to to schedule a service call. Emergency calls made over the weekend will receive priority scheduling on Monday. Did you know smartphone technology exists for irrigation controllers? If you are considering a new landscape or renovation with Ecoscape, upgrading your current irrigation controller is the perfect time to make that change. Already an Ecoscape maintenance client or have done a landscape project with us in years past? Call us to schedule an appointment to review your sprinkler system and controller for efficiency and potential upgrades. 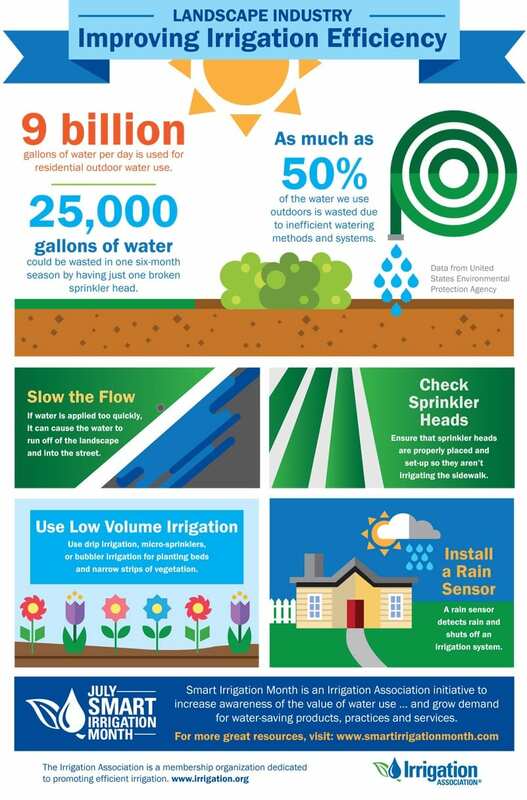 Here are a few other things to consider about residential water use…. 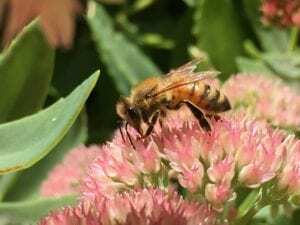 One yard, one city block, and one policy at time, has started the momentum of making the state of Colorado a safer place for bees and fellow pollinators.  The People & Pollinator Action Network (PPAN) originated in late 2014 with the modest aim of policy reform, and in turn discovered a much larger comprehensive goal: making our region a sanctuary for birds, insects, and bats. Like many issue of our times, the problem of pollinator decline is complex and multifaceted, and both a local and global problem. 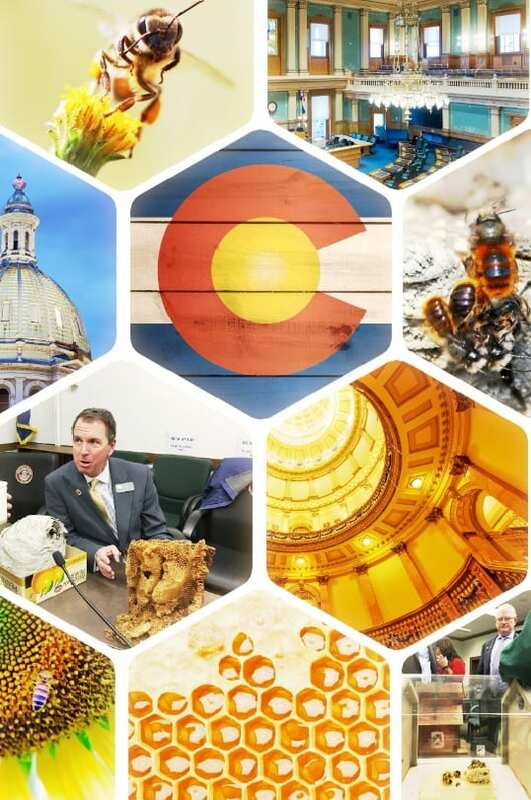 Since its’ inception, PPAN united behind a common strategy to work with the Colorado State Legislature in ways to promote policy reform to improve the health of both pollinators and humans, namely in the form of reducing pesticide use within Colorado. The economics of policy change were not left out of the equation. Collective impact means that a cross-section of Colorado government agencies, municipalities, nonprofits, and businesses have worked with PPAN to foster partnerships that create a better future for people and pollinators in our state. To read the full report from the People & Pollinator Action Network, buzz over to this link. 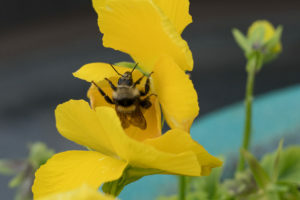 To take action beyond your own bee-safe back yard, consider getting involved with PPAN or sharing a financial gift at: peopleandpollinators.org. Image from 2015-17 Review People & Pollinators. Only 28 more days to SPRING! 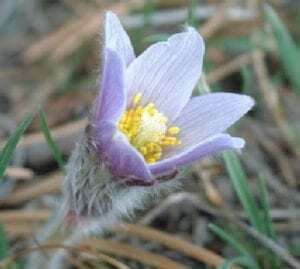 Early riser, the pasque flower is usually one of the first flowers seen in spring. 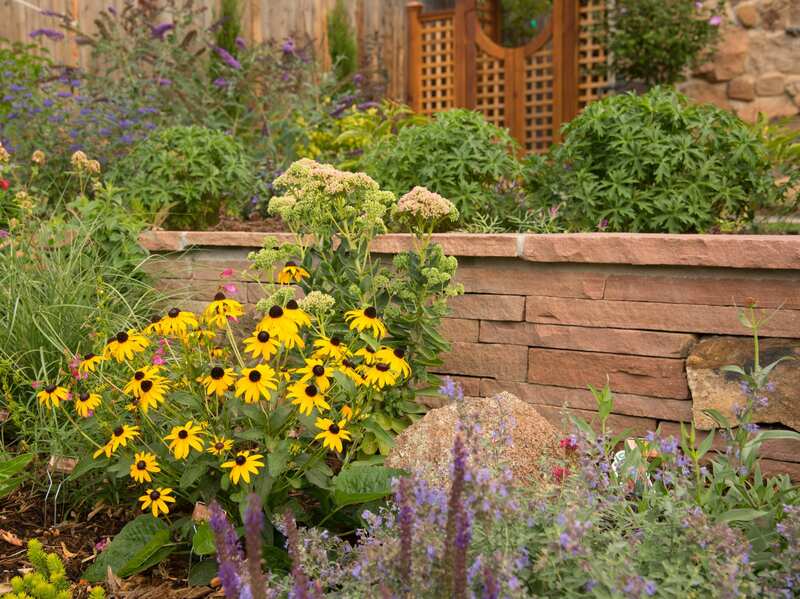 Thinking about transforming your landscape to be more ‘water-wise’ this coming landscape season? Resource Central (formerly known as The Center for Resource Conservation) has quite a seminar line-up this spring, with some sessions that actually offer incentives to reduce turf through city-sponsored programs. 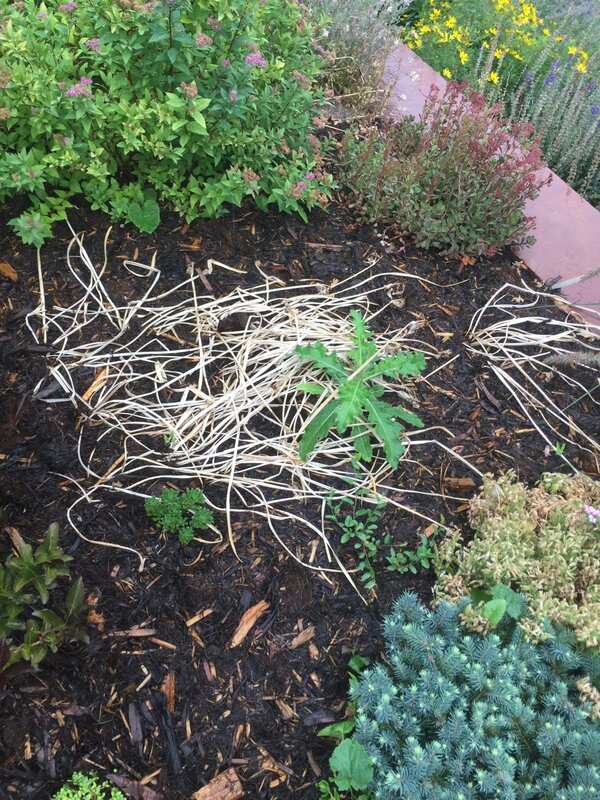 The City of Lafayette has piloted turf-removal programs these past two years partnering with CRC and their ‘Garden in a Box’ collections. 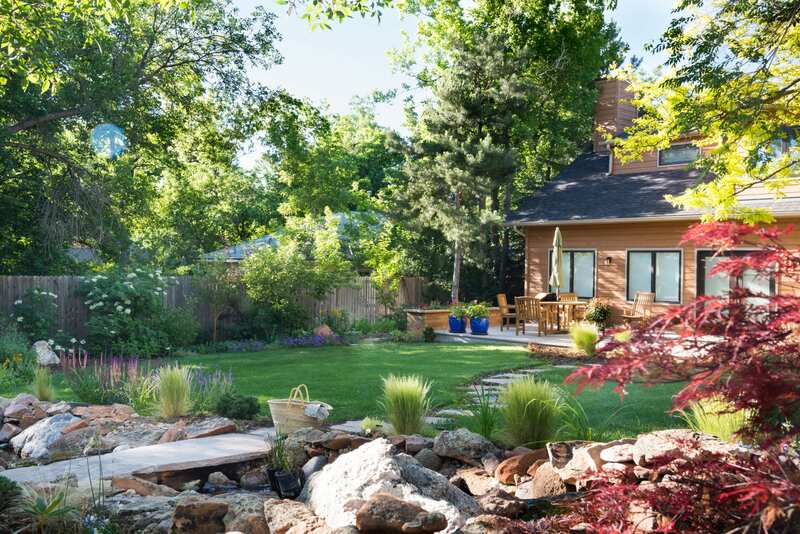 Now Boulder, Arvada, and Thornton are also offering incentives, rebates, or discounts to help homeowners transform their mono-culture lawns, into a haven for plant diversity and pollinators. The Resource Central classes are FREE, but fill up fast! See the complete list here, and sign-up soon. 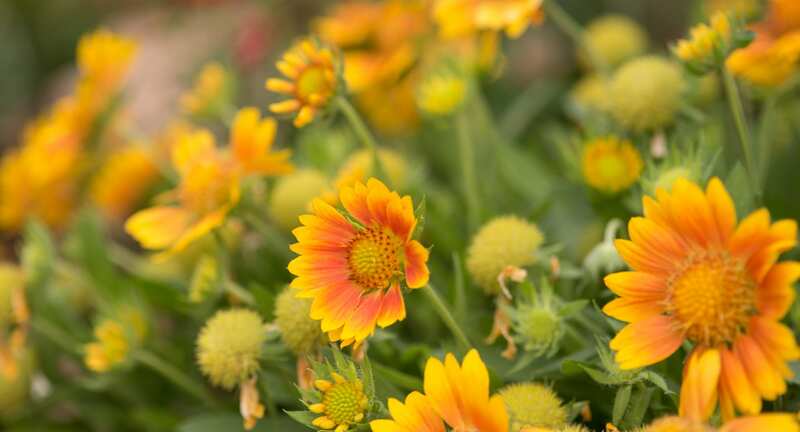 Ecoscape’s Bill Melvin will be teaching the March 8th class at the Lafayette Public Library on the benefits of turning your turf into a Xeriscape. 1) SAVE TIME. Maintaining turf is time consuming. Think of all the time you spend (or pay for someone to do it) mowing, fertilizing, aerating, weeding, string trimming edges, and monitoring sprinkler heads for problems. Talk about a high-maintenance diva! 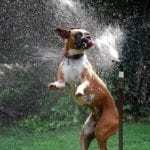 2) SAVE WATER. Kentucky bluegrass will use 24-26 inches of irrigation per growing season to produce the highest quality turf with no brown spots. Tall fescue will use 20-22 inches of irrigation per growing season, providing that a deep root system has been established, and substantial subsoil moisture exists. Based on a Xeriscape Conversion Study (2005) by the Southern Nevada Water Authority, a 33% reduction in monthly water use could be realized in converting turf areas to a xeriscape. 3) SAVE ENERGY. 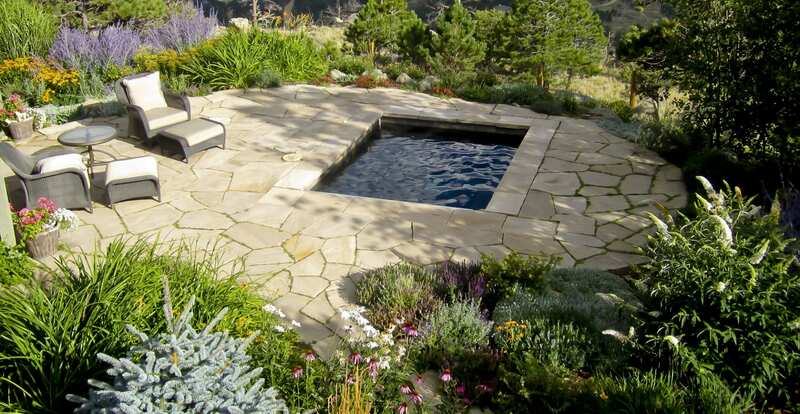 Converting to a xeriscape does not mean replacing turf with a heat sinking span of rock ‘mulch’. Turf can actually reduce home cooling requirements by as much as 4%. 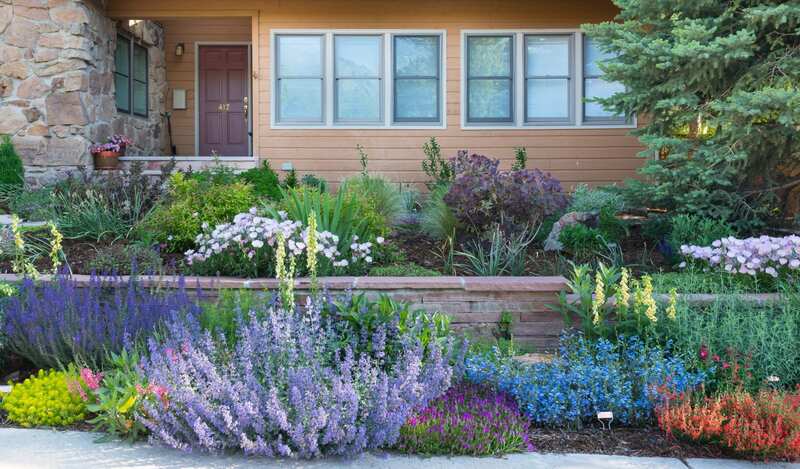 To realize a bigger home energy savings, a xeriscape with plants, shrubs, and trees, can help shade your home, thus potentially saving your energy costs in summer by 46%. 4) LOSE the noise and pollution. 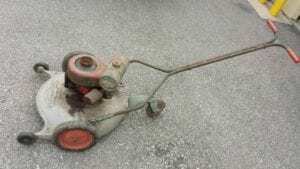 Gas powered mowers and two-cycle engines (aerators, blowers, and string trimmers) are noisy and smelly. Plants in a xeriscape garden don’t require such equipment. 5) CREATE habitat diversity. Large areas of lawn are ‘mono-cultures’, meaning one type of plant. This makes grass more vulnerable to disease and pests. A landscape with a diversity of perennials, shrubs, and trees, means that if an undesirable pest attacks a particular plant, it will be limited in food supply because of the variety. If the pest attacks your turf, and you have tons of it, the pest will have a huge food supply and better able to multiply unchecked. 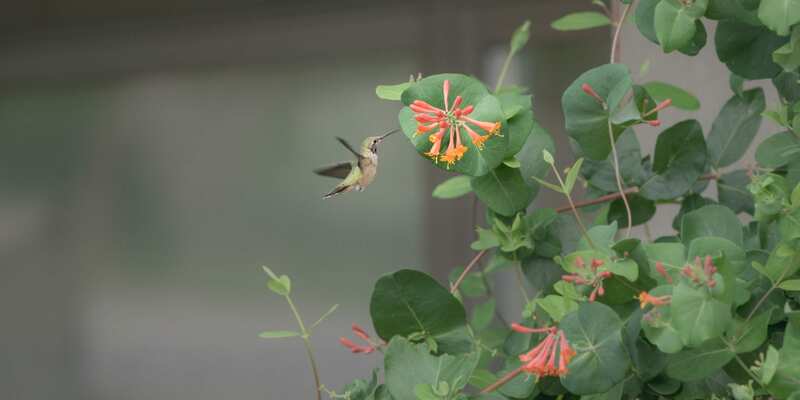 Plant diversity also attracts beneficial insects, which will work on your behalf to keep pest-insects in check. 6) SET A GOOD EXAMPLE for others. By committing to a water-wise community of plants, you can set a trend in your neighborhood to use natural resources wisely. Ecoscape designed, plant-diverse front yard. No turf here! 7) REDUCE FRUSTRATION. Ill-maintained turf can be an eye-sore. Dog spot, fertilizer burn, weed pressure, brown spots, and sparse turf, are a constant reminder that something hasn’t been done right, and needs attention. Turf reduction could actually lower your stress level! 8) INCREASE RESILIENCE. Adapted arid-tolerant plants and native cultivars thrive in the changing climate conditions of Colorado (droughts, water restrictions, etc…), turf – not so much. Year to year, season to season, invest in plants that are hardy and well-suited to our region. 9) BUILD SOIL. 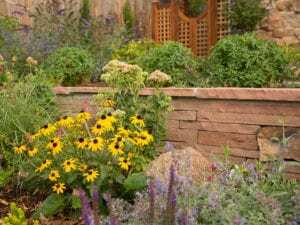 Xeriscape areas benefit from mulch, made out of natural materials, such as straw, leaves, wood chips, and even paper in some cases. These items in turn will break down and create an excellent food source for the microbes living in your soil. Feed the soil, and it will feed your plants. 10) BEAUTY ABOUNDS. Xeric plants can be colorful, smell wonderful, and have many interesting shapes and textures. 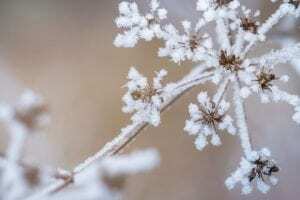 Winter interest in the garden can be found when plants take on a frosty mantle. 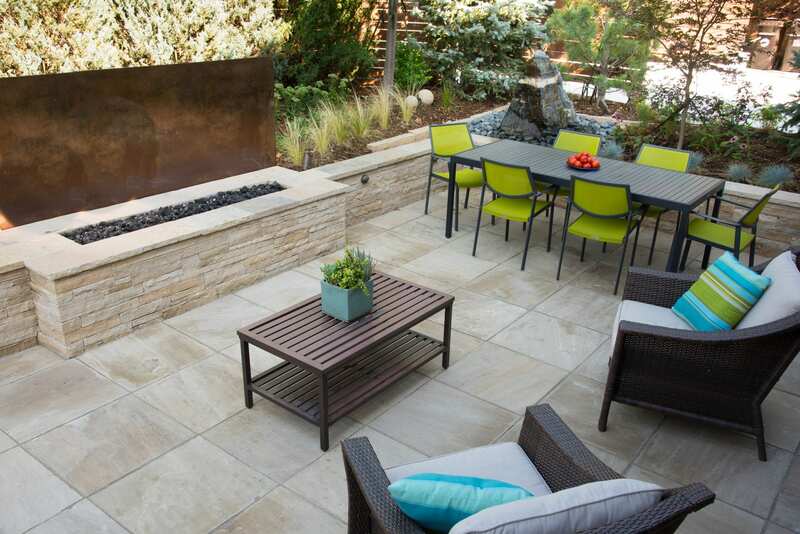 We usually don’t think of turf in those terms, so replacing it with xeric plants can open up new aesthetic avenues and vistas all year round. Honey, honey….please take me to the Hootenanny! The 1st Annual Honeybee Hootenanny is People and Pollinators Action Network’s largest fundraiser this year. The event is a gathering of community members, volunteers, and donors to celebrate and reflect on this year’s accomplishments, which includes passing Colorado Pollinator Highway Resolution HJR 1029 (protecting pollinators along highway 36) and the merger between Bee Safe Boulder and PPAN. This event takes place on September 29, 2017 from 5:30pm-7:30/8:00pm–at the end of Boulder’s Pollinator Appreciate Month. Come out and see a honeybee mobile observation hive, try award winning honey, eat ample appetizers, and enjoy libations and live music! Tickets for the event at 453 Highland Avenue, Boulder are available here. Can’t get a babysitter or already have plans for that night, but still want to help? You can make a tax deductible donation by buzzing on over to the People and Pollinator Action Network website. Why, why, why are you here Mr. Thistle? Ever look at something and be instantly triggered into anger or annoyance? 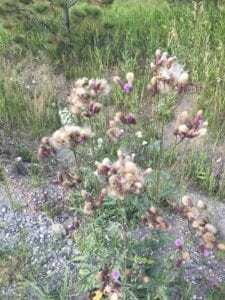 Canada thistle provokes that for a lot of people. It’s prickly, it’s pushy, it gets a foot in the door and then takes over the place…and it wasn’t even invited! Actually it was probably unintentionally invited. Thistle tends to inhabit environments that need rest and rejuvenation, like overused and depleted agricultural and rangelands. It sneaks into areas of disturbed soil, gardens, roadsides, mismanaged playground and sports fields, marshes, and even wet grasslands. Canada Thistle with popping seed heads. Canada thistle is a cool season perennial which spreads by seed and by creeping roots vegetatively. Undisturbed plants tend to become inactive during hot weather (July and August). Then new shoots emerge during September and survive into November. The growth on Canada thistle in late September and October helps restore its underground food reserves. Two years underground growth of Canada Thistle from original one foot of root. It has been said that the first step to healing is awareness. If you’ve got Canada thistle, try to understand not only its’ thievery, but also what it may be trying to tell you. (Neglected soil? Compaction issues? Toxin Smorgasbord?) Then mindfully decide, what you do want in its’ place and what would be the highest good for the land & soil? 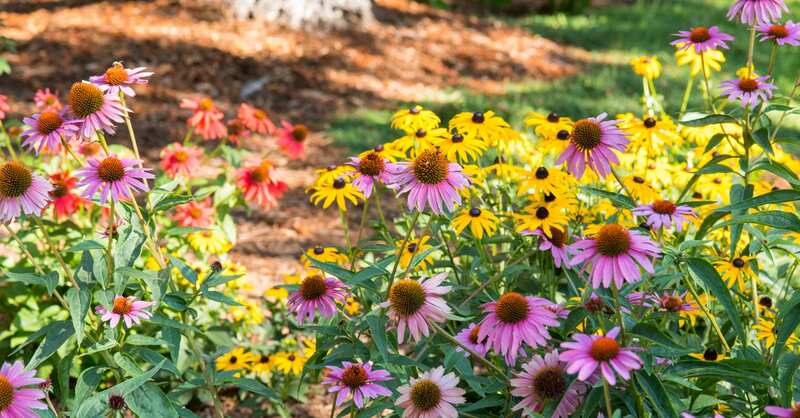 Desirable native plants and healthy, biodiverse soil is a good place to start, and know that it will take commitment and diligence on your part. Three things to remember in tackling thistle: avoid letting plant go to seed, timing is key when applying an herbicide (go organic! 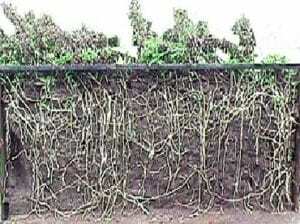 ), and don’t cut all the way to the ground level or pull the weed (it stimulates additional root bud shoots). However, cutting high at 8-10 inches retains the chemicals in the stem (auxins) and fools the plant into thinking it is still producing flowers, so root bud development is retarded. 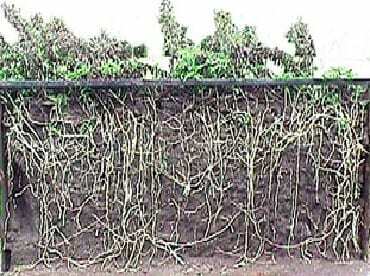 Also, studies show that plants of that height are more susceptible to chemical damage and will translocate better to the roots. This is the time to apply an organic herbicide (containing acetic acid or clove oil) into the open stems. Adding a surfactant (to the organic herbicide) will aid greatly in sticking to leaf surfaces and allowing penetration to the roots. 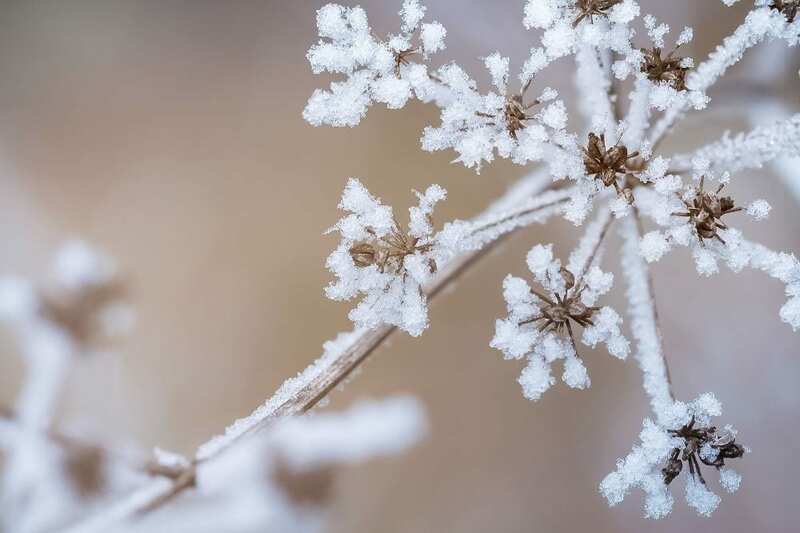 The ideal time to treat is in the very early bud stage when food reserves are at their lowest point (early spring) and during the fall when the plant is storing sugars in its root system to get it through the winter. 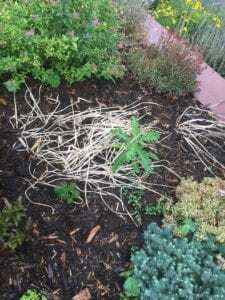 If some thistle sprouts back next spring, hit them again with an organic herbicide, and be sure to plant desirable varieties that shade out any Canada thistle stragglers, and amend the soil with compost. 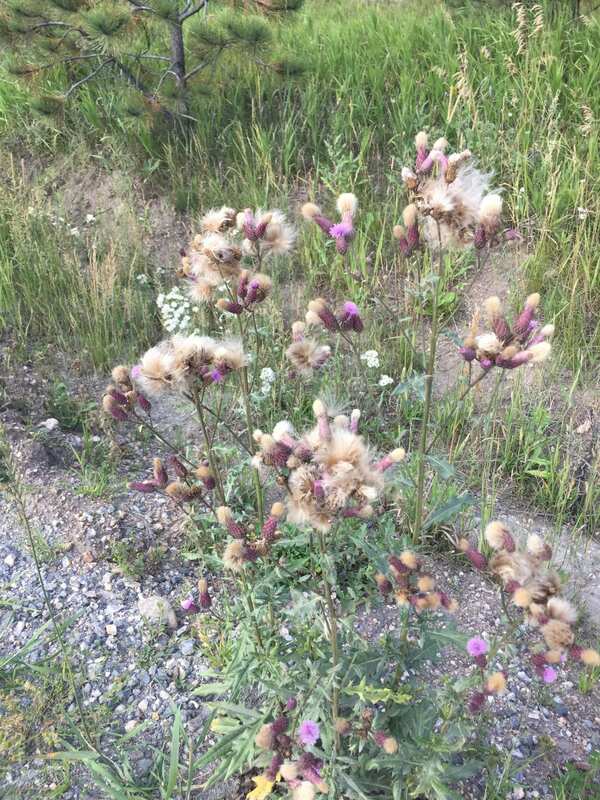 If you’ve got Canada thistle and don’t want to tackle it yourself…contact Ecoscape!